1. Download the needed maps (all countries and regions you are going to navigate across) to your phone. Wi-Fi recommended. 2. On the main screen of the app, tap the Show menu > Map Styles > Standard. 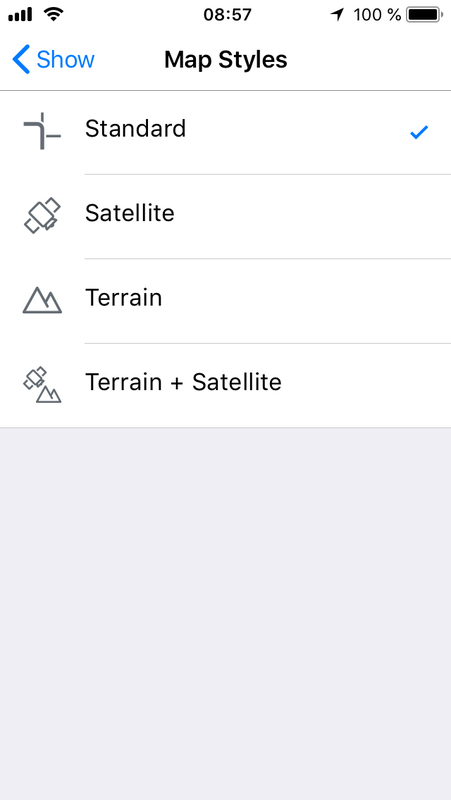 Satellite and Terrain require Internet, so they need to be disabled. 3. Now you can start navigating using the maps stored on your phone. IMPORTANT: Traffic, Weather, Wikipedia also require Internet, but mobile data consumption is low. If you do not want to use these online services, please disable them in the Show menu > Map Layers. You can also completely turn off the Internet (Wi-Fi and mobile data) on your phone. If the needed maps are stored on your phone, they will be used by our app for route planning and navigation. So you can forget about mobile internet costs!